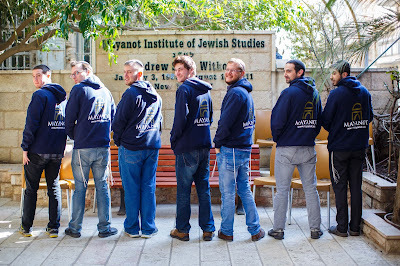 The Mayanot Blog: Reflections, 4 Amazing Years! Would you believe me if I said that even before I arrived at Mayanot, I felt I would be there for at least 4 years? Let me qualify what I mean. I did not book an open ended ticket with the plan to fly back 4 years later and I certainly did not tell my parents I was planning on attending yeshiva for 4 years. Rather, I was open to such an idea and gave myself the room to be flexible to the possibility. I had just spent 4 years at the University of Miami, which for those that don't know, is a place that caters to physical desires and needs, in basically every way imaginable. I figured if I put myself through 4 years of that, I absolutely owed it to myself to immerse in a spiritual environment, where I could give myself at least 4 years for more holy and meaningful endeavors. I knew that if I was to go out into the world and make a real difference, I would need to work things out internally first, and build an unbreakable foundation. Thank G-d/ Baruch Hashem, I am so fortunate to have been able to follow through with the incredible support from my parents to spend 4 plus years at Mayanot and build an incredible Jewish foundation. What I gained from my experience at Mayanot, although difficult to put into words, I would say, can be summed up in four categories of self growth. · Firstly, being/becoming a healthy human being, someone who is self-aware, proactively independent, and lives wholeheartedly. Mayanot helped me with this, through discussions and learning new concepts that assisted me in putting my life into perspective. · Secondly, through relationships, with others and with myself. Built with love, compassion, and a genuine concern for fellow Jews and people in general, relationships can absolutely transform your life and the people I met had such a huge impact on me. · The third is the fundamental skills to learn and delve into our heritage, ie. the Torah and other Jewish texts. I am now comfortable opening up and learning oral, written and all other sorts of Halachic texts, from the Mishnah to all discussions that lead us to make a halachic ruling in the Shulchan Aruch/ Jewish Law, as well as the light filled teachings of Chassidus/ Jewish Mysticism. I am currently in a top notch smicha program to become a Rabbi in Pretoria, South Africa, a dream I never would have come to if I hadn't chosen to delve into my Jewish heritage. 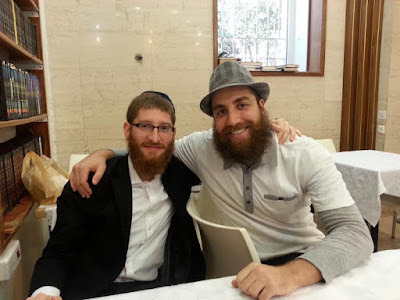 · The fourth is the appreciation and excitement for being a Jew and Chassid/ student of the Rebbe and how fortunate we all are to have such a rich Jewish inheritance. Ashreinu MaTov Chelkenu! Although, I am not physically at Mayanot anymore, it will always continue to be the place I call home, the place that I got in touch with my real self, which I knew I always had inside of me. Perhaps it is not ultimately about being at Mayanot in Jerusalem, but rather to bring Mayanot to wherever I will be. I plan to utilize all that Mayanot has given me to do just so. Thank you, Thank you, Thank you Mayanot!!! 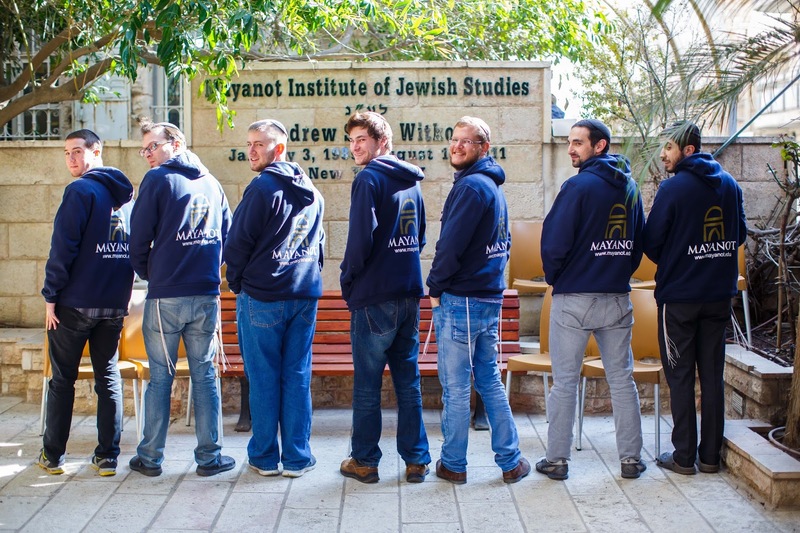 Written by: Aharon Tzvi Altman, A Mayanot Men's Program Student from 2011-2015.